1974 Emmanuel de Kadt and G. Williams, eds. Sociology and Development, Tavistock, London, pp. 109-140. ISBN 422 7433 0/ 7574 0. 1976 G. Williams, ed. Nigeria: Economy and Society, ed. Rex Collings. ISBN 0 8603 6015 6. 1980 G. Williams, State and Society in Nigeria. Afrografika Books. ISBN 9 7822 4104 0. 1974 Political consciousness among the Ibadan poor. In Sociology and Development, ed. Emmanuel de Kadt and G. Williams, pp. 109-140. And in G. Williams, State and Society in Nigeria, 1980, pp. 110-134. State and Society in Nigeria, 1980, pp. 22-67. State and Society in Nigeria, 1980, pp. 68-109. 1987 Namibia: writing for liberation. Review of African Political Economy, Sheffield, ISBN 0 9407083 – 1 – 3. 1987 Gavin Williams and Piotr Dutkiewicz, ‘All the king’s horses and all the king’s men couldn’t put Humpty-Dumpty together Bulletin. Institute of Development Studies 19, 3, 1-6. ISSN 1759-5436. 1993 The Origins and Outcome of a Civil War, Indicator SA, 11, 2, pp. 68-72. ISSN 0259-188X. 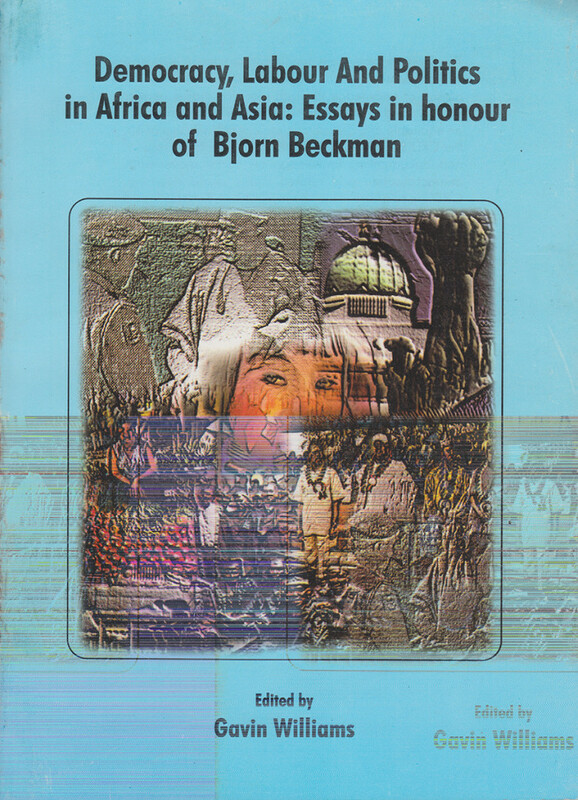 1999 Shehu Othman and Gavin Williamsx, Power, politics and democracy in Nigeria In Jon Hyslop, ed., African Democracy in the Era of Globalisation, Witwatersrand University Press, Johannesburg, pp.15-71. ISBN 1-8681-4331-7.